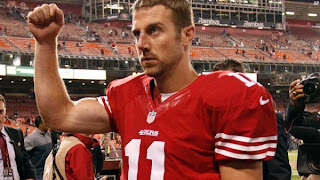 According to multiple reports, the Kansas City Chiefs have a deal that is nearly completed to acquire San Francisco 49ers quarterback Alex Smith. Any deal involving Smith cannot officially take place until March 12, when the new league year begins. Smith’s story was well documented this past season due to the emergence of Colin Kaepernick during the 49ers run to the Super Bowl. After a strong 2011 season in which he threw 17 touchdowns against only five interceptions, Smith was having an even better season in 2012 – enjoying a 104 QB rating through nine games before suffering a concussion against the St. Louis Rams. Kaepernick played well in Smith’s absence, and head coach Jim Harbaugh stuck with the young QB instead of Smith all the way up through the 49ers loss in the Super Bowl to the Baltimore Ravens. The Chiefs’ most glaring need is at quarterback, and many thought the team would draft a QB with its top overall pick in the 2013 NFL draft. However, this draft does not have any quarterback prospects that deserve to go number one overall, and many reports have indicated that Kansas City is moreinterested in drafting Texas A&M offensive tackle Luke Joeckel. If the Chiefs trade for Smith, there are two paths the team can take. Kansas City could make Smith the starting quarterback and still draft a QB like Geno Smith or Matt Barkley with the top pick, grooming the young signal caller for the future similar to how the Packers brought along Aaron Rodgers. The Chiefs could also make Smith the starter and spend its top pick on an impact offensive or defensive lineman, and select a QB later in the draft or next season. Acquiring Smith certainly gives the team options. Is Smith a good fit for Kansas City? He rarely turns the ball over and has excelled in a scheme in San Francisco that emphasizes conservative passes and running the football. With the dynamic Jamaal Charles, the Chiefs are built to be a run-first offense, and Smith could give the Chiefs just what they need – a steady quarterback who limits mistakes. The downside to Smith is that he struggled his entire career in San Francisco until a championship-level team was built around him. 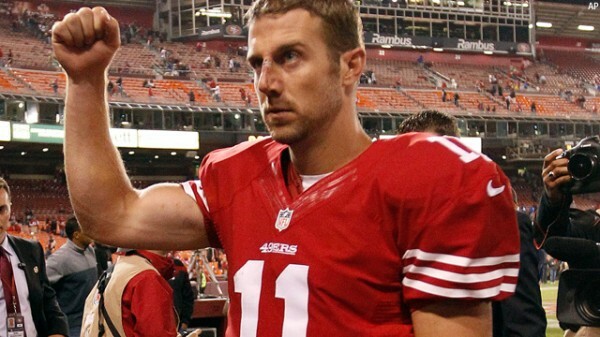 As Matt Cassel proved, an average QB can look good with a strong team around him, and Smith will not have the talent supporting him that he enjoyed in San Francisco.